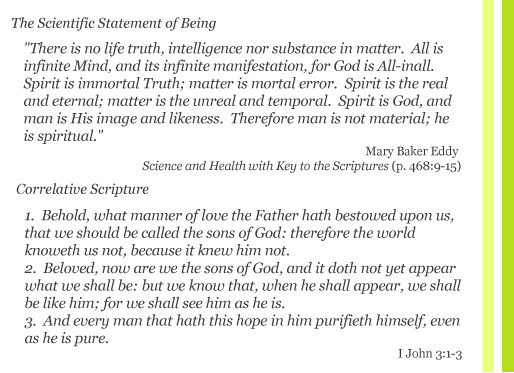 The pastor of this church, and all Christian Science churches, is The Bible (Authorised King James Version) and Science and Health with Key to the Scriptures written by the founder of Christian Science, Mary Baker Eddy. These two books are the textbooks of Christian Science and were ordained to be the dual and impersonal pastor of the Church of Christ, Scientist. Various language translations of both of these books are available at the church's Reading Room. The Reading Room also has copies of the books already marked with the weekly Lesson-Sermon ready for study. On Sunday the Lesson-Sermon is read aloud to the congregation as the focal point of the service. 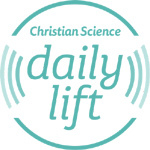 The Lesson-Sermons are published in the Christian Science Quarterly Bible Lessons that are available at any Reading Room or on the web.